While chatting over a coffee one day a while back, guitar ace Greg Howe asked Carl whether he could develop a pedal that would re-create his signature sound. A pedal that would combine Greg's unique High Gain and Crunch tones, but allow him to manipulate these sounds and layer them for even more guitar fun. A little unorthodox yes, but Carl was never one to back down from a challenge, nor one to think inside the box. The result is the Greg Howe Signature Lick Box, and not only does it fulfill Gregs requirements, but it adds even more great tones to Gregs palette!So what is this crazy pedal? Well, at first glance it looks like many other Carl Martin pedals - there is a High Gain channel which has loads of bottom end and nice crisp highs, a very dynamic Crunch channel which emphasises the mids with very little compression, and of course that famous 12db Boost channel that we are all so familiar with. So that's it? Ok, so the High Gain and Crunch channels were voiced to Gregs spec's, but it's still just a pedal based on Greg Howe's own signature tones? Nope, underneath the simple cosmetics is a rethinking of how these channels work together. 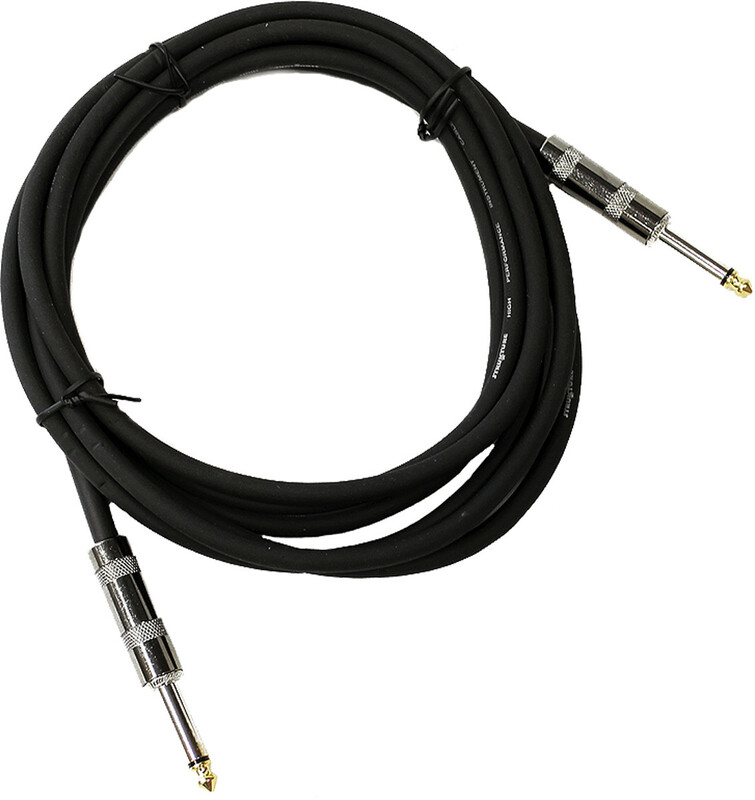 Yes, you can use either the High Gain or Crunch channels on their own (and they are awesome! 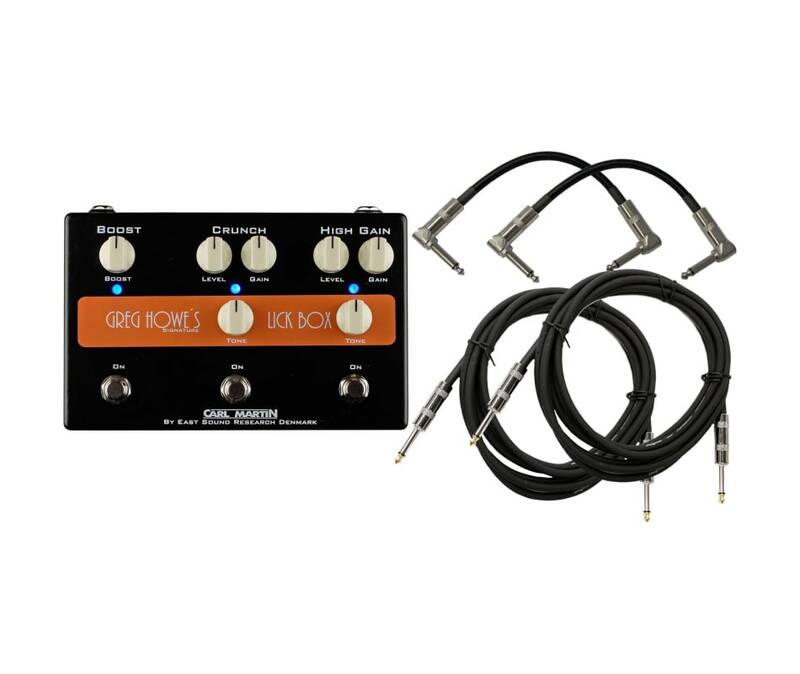 ), and you can adjust the tone for each with it's dedicated Tone control, and yes, you can also add up to 12 db of crystal clean Boost to either of those channels, but you can also turn on both gain channels together! By placing the High Gain first in the chain, you allow the Crunch voicing to overrule the High Gain while adding a few db to your volume. You lose some of the lows and highs, but this results in a focused and controlled mid-range that cuts through the mix. 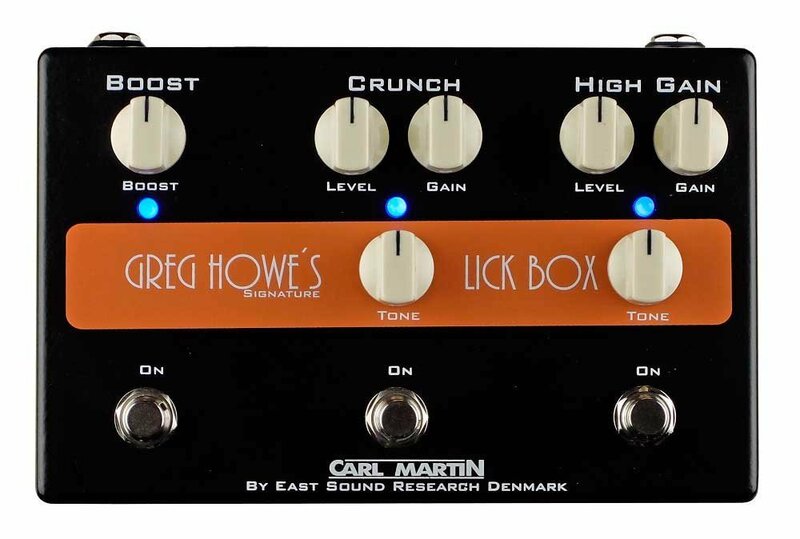 Of course you can add up to 12 db of clean Boost as well for meatier leads dripping with tone and sustain!The Greg Howe Lick Box features the usual cast metal casing, the high quality switches with 'on' indicating LED's, and the new Carl Martin DC/DC converter circuitry. This new power circuit allows you to use a 9V Power Supply while still maintaining the +-12V circuitry that is crucial for component quality and extra headroom above most 9V pedals. Of course we recommend the Carl Martin ProPower Version 2 as the power supply of choice. Power consumption is a surprising 150 mA.